Samsung has succeeded in its request to see details of the recent licensing agreement between rival manufacturers Apple and HTC. The Korean giant had appealed to the court presiding over its own dispute with Apple, claiming the settlement with HTC could have a profound effect on whether sales bans are imposed on Samsung devices. Samsung's motion was centred on the notion that; if Apple was willing to license out its patented technology to a rival like HTC, then it too could figure out a cash-only settlement with Apple. This claim is strengthened, Samsung said, by the company's conviction that some of the Apple patents licensed by HTC overlap with those Samsung was found guilty of infringing upon, back in August. In granting Samsung's motion to the court: US Magistrate Judge Paul S. Grewal wrote: "Although the court is more than a little skeptical of Samsung's arguments regarding the financial terms, Rule 26 supplies a broad standard of relevance. 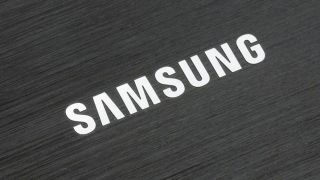 "Samsung's motion to compel production of an unredacted version of the settlement agreement is granted. "Apple shall produce the unredacted document without delay subject to an Attorneys-Eyes-Only designation under the protective order already in place in this case." Following the ruling, the Apple-HTC settlement is likely to be taken into consideration when Samsung and Apple return to the courtroom on December 6 to tie up the loose ends of the tech trial of the century. Apple plans to seek the aforementioned sales bans on offending products, while Samsung wants the case thrown out completely.